In the last twenty years, the internet has completely revolutionized the business of sales. The age of the door-to-door salesman had passed, and a new wave of young entrepreneurs put their skills to the test. While the anarchy of the internet proved unnavigable to some, to others it was afield with opportunity. One man has been so successful at navigating this new space that he is now recognized as a thought leader in the digital business community. His name is Sashin Govender. He is a 24-year-old from South Africa, and he has built a direct sales empire of over 90,000 affiliate marketers. 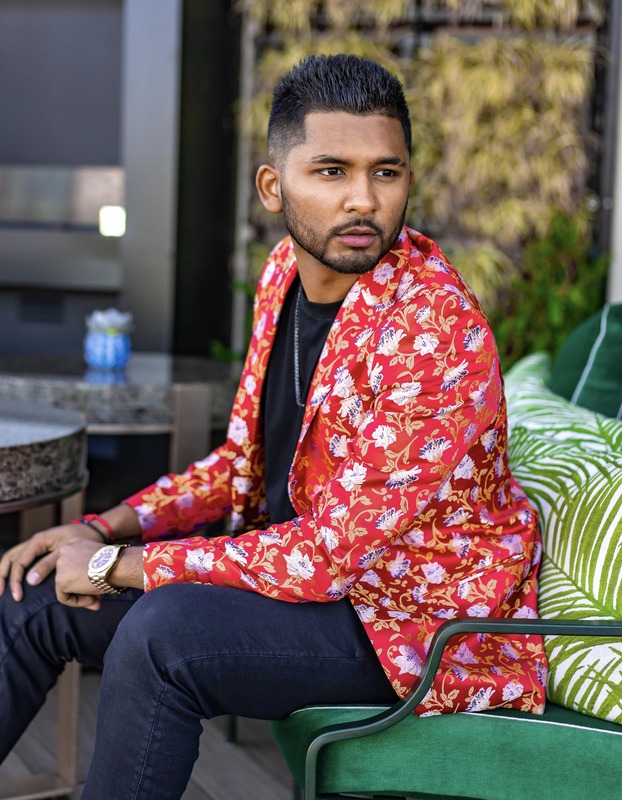 Far from intoxicated by his own success, Mr. Govender has instead decided to mentor new digital age leaders under the brand name The Millionaire Student. We had the chance to sit down with "The Millionaire Student" to ask him a few questions. How did you first get involved in affiliate marketing and direct sales? SASHIN GOVENDER: I was first introduced to personal development at a tender age of eight. A mentor made me watch the movie The Secret by Rhonda Byrne, that was my first encounter with the word mentor, which was totally new to me. As a result, I went on to find mentors in the past few years who helped me master four different pillars of my life: health, wealth, spirituality, and relationships. I was a D student in high school, so I decided that, instead of focusing on academics, I was going to earn my own education. So I worked on my mind for 10 years before, in 2012, a mentor introduced me to direct sales. I had humble desires, I only wanted to make enough to buy my first car. When did you discover you had the aptitude to become a star in your field? SG: I always knew from day one that I was going to become a winner. I had a crystal and concise picture of the end in mind. I knew who I was going to be and what I was going to achieve. 80 percent of success is psychological, and 20 percent is mechanics. My mind was aligned for this journey. I saw myself being an icon out there. I was there first driving that car in my mind before I physically manifested it. I know this sounds ironic and crazy, but my entire life is lived in the future. So I always knew the end result, I developed a “Work Like You Broke” attitude. No matter where I was from, I did not let my surroundings become my obstacle, but rather my opportunity. From your website, it appears that you have coined a mentorship system for entrepreneurs to become independent and successful, and that you preach this above the conventional college to corporate route. What are some of the key benefits that only your system provides? SG: My system teaches skills of being self-made and self-paid. Formal education can always make you a living, but self-education can make you a fortunate: if you align your mind. Most people don’t have a mentor. I wanted The Millionaire Student program to help people get coached, mentored, and taught the skills they need. I wanted to provide a unique program that documents proven strategies and systems to build your life up from ground zero. How can people get involved and start being mentored? SG: I recommend that people follow my pages, whether it be on social media (@RetireWithSashin) or YouTube, and let me be your virtual mentor as I tour and travel the world. Take me everywhere you go, and I will give you access to a behind the scenes life of an entrepreneur who believes the top is not the pinnacle and there’s always another level.